One of the main cause of damaged hair is, heat-styling. Heat causes a number of problems: it lifts those tightly fitting tiles that create cuticle layer, causing small spaces where water and other substances can enter and cause damage. Heat can also damage and remove small chips of the cuticle layer, causing a porous, hole-pocked surface that leaves hair weakened and prone to splitting, fraying, and breaking. To prevent damage one needs to air-dry hair and stay away from heated curling and straightening appliances. We bring you ways to make your hair presentable without heat application. Check out these styles and don’t forget to apply them. Begin by adding an oil or serum to towel-dried hair. The hair should be slightly damp but not wet. 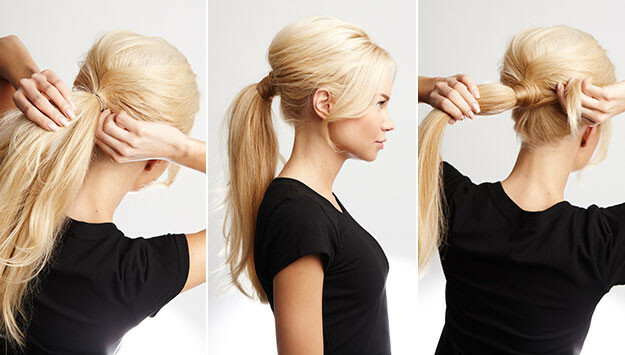 Twist the hair into sections, and pin each section up into a loose, twisty bun. Let it sit for an hour and then unpin. This will give you beach-wave texture — the waves won’t be quite defined but will give you that slight, rumpled texture. If your hair tends not to hold a curl well, add a curl-enhancing serum. Try sleeping in rope braids, which works well for all hair types. Rope braids are like your standard three-sectioned braid, but you twist each section as you braid. 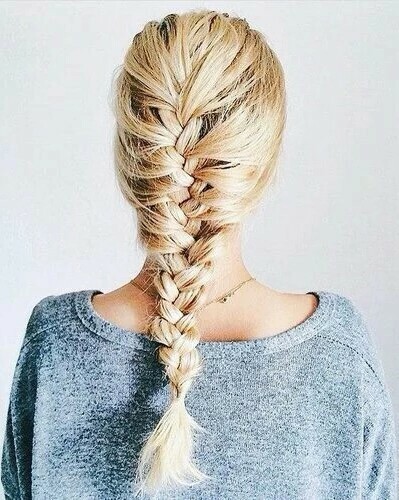 In case you have thick hair, try four separate braids. If you have fine hair, try two. When you wake up, your hair will have a cool style You can also spray your favorite beach-wave spray to enhance the texture. Start by shampooing and conditioning your hair. Let your hair dry until it is slightly damp. Use a wide toothed comb to ensure that there are no more tangles. If you have hard to curl hair, rub a little texture paste into your hair. Now take a hair tie, twist your hair and put it up in a messy bun. Wait for your hair to dry completely and then slowly take off the hair tie and style as required. Remember, the more hair ties and the more buns you make, the tighter your curls will be. Cut an old tee/sheet/pillowcase into long strips use socks. Wrap sections of your half dried hair into them by placing the end of each section on the center of the strip and rolling up. Once you’re done, just tie the ends of the strip together and move to the next section. And remember, the smaller your sections are, the tighter your wild curly hair will be. 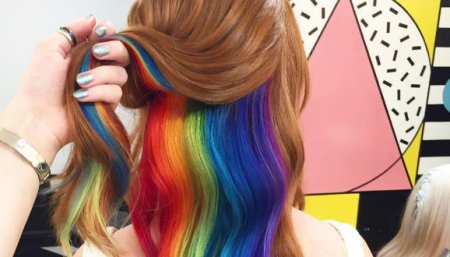 The most obvious but end-all solution every hairstylist agrees on is to pull your hair back. We all love braids or a low ponytail. Try these stylish waves and curls requiring no heat and minimal effort.